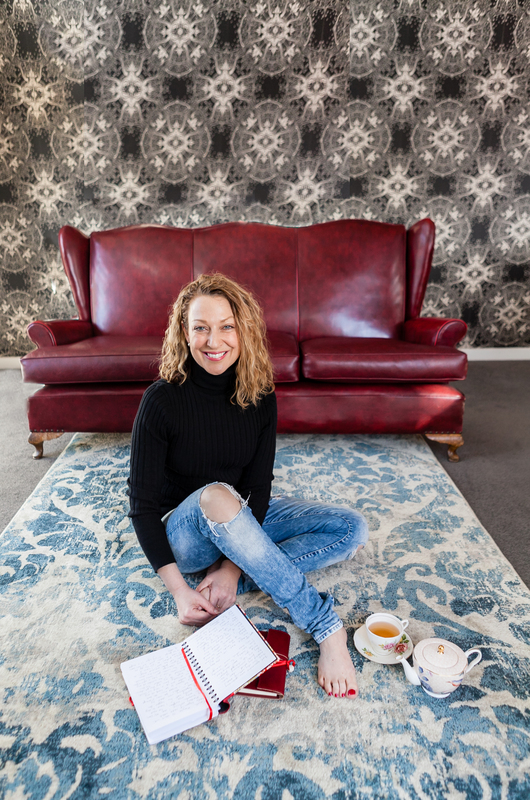 The Mount Gambier Library presents breast cancer survivor Dr Jodie Fleming on Tuesday 9 April at 7:00pm at City Hall to launch her memoir A Hole in My Genes. As a psychologist for oncology patients, Dr Jodie Fleming has helped dozens of patients with their cancer fight until one day she felt a lump in her own breast. In 2010 at the age of 37, exactly one month after the end of her marriage, Jodie received the terrifying news that she had two primary breast cancers. Facing the news on her own, Jodie made the decision to relocate from New South Wales to be with her family and receive treatment in Warrnambool. Having cared for her husband through testicular cancer eight years earlier, she now faced her own rollercoaster ride of doctors’ appointments, tests, treatments, chemotherapy and surgeries. Jodie suddenly found herself as the patient, not the doctor. Team Leader Library Programs Kristi Leamey said Dr Fleming was forced to draw upon the psychological strategies that she had previously taught her clients. “Despite having counselled many cancer patients including women with breast cancer, just like her, when Jodie was told she had cancer she describes it like being a deer in the headlights," Ms Leamey said. A Hole in My Genes is Jodie’s journey from diagnosis to treatment, from losing her hair to losing her breasts and the most confronting diagnosis of learning that she will never be able to conceive and carry a child. It is also a book on survival and how having breast cancer has changed her perspective on life. “Immediately after treatment, I noticed things like colours were more vibrant, smells were sweeter, the warmth of the sun on my skin was simply delightful. I also decided not to take things for granted as I may have before getting sick,” Dr Fleming said. Jodie’s story is raw and honest. It will give you insight into the experiences of a person living with cancer, battling through treatment and trying to maintain their sense of self within an avalanche of impositions. 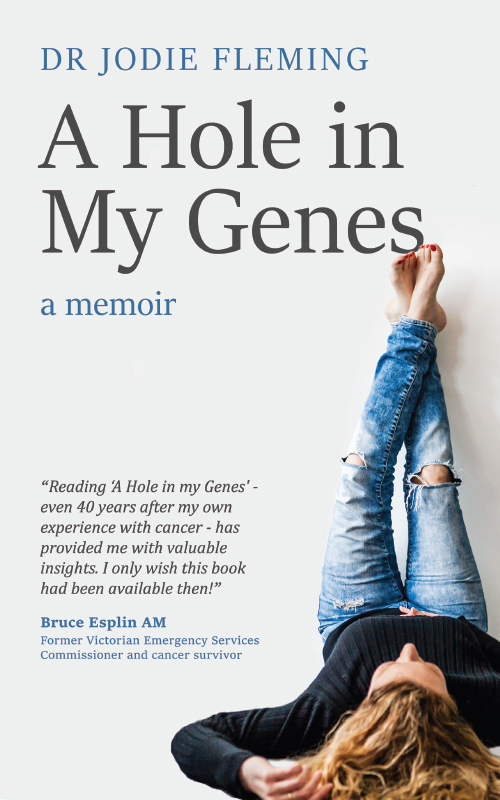 A Hole in My Genes is also a book about facing adversity and resilience and I believe everyone can take something away from Jodie’s experience and courage. - Team Leader Library Programs Kristi Leamey. For bookings please contact Mount Gambier Library (08) 8721 2540 or book online at www.mountgambier.sa.gov.au/library under ‘Programs and Events’.